For those who don't know, the doctrine of Apokatastasis is an ancient form of Universalism which states that everything God has ever created will be saved and glorified, including the Devil and his demons. The existence of Hell is affirmed, but the punishment is held to be correctional and purgative rather than retributive, and it doesn't last forever, instead only lasting for as long as a soul refuses to repent. This makes the Universalist idea of Hell more like a "Universal Purgatory". I find this doctrine very interesting and appealing. It seems to make the most sense of the biblical data and the Loving+Just character of God in my mind. Nevertheless there are some problematic passages in scripture which seem to contradict it at first glance. 10 and the devil who had deceived them was thrown into the lake of fire and brimstone where the beast and the false prophet were, and they will be tormented day and night for ever and ever. This passage seems to completely rule out Apokatastasis and come down strongly in favour of the more traditional "everlasting punishment of sinners and the Devil" view. How would a proponent of Apokatastasis interpret this passage? So brimstone was believed to have the power to purify. properly, to test (metals) by the touchstone. The KJV chose the word "world", which is a bit deceitful because Greek already has a word for world...κόσμος. If we say "the cares of this forever choke the word", that doesn't make a lot of sense. Here is every instance of αἰών in the NT. Replace each word with "age" and it makes perfect sense everytime. Actually, the interlinear does it for you, because it's a literal translation and they know αἰών means age. C.S. Lewis and many others believe that a person who is lost, is lost because he doesn't want to spend eternity with God in a heaven like the heaven in the Bible. To believe that eventually all will be saved, is to believe a loving God will eventually condemn the unwilling to an eternity in a heaven they would find tormenting. Dante, the Inferno. No one wants to leave. Not the answer you're looking for? 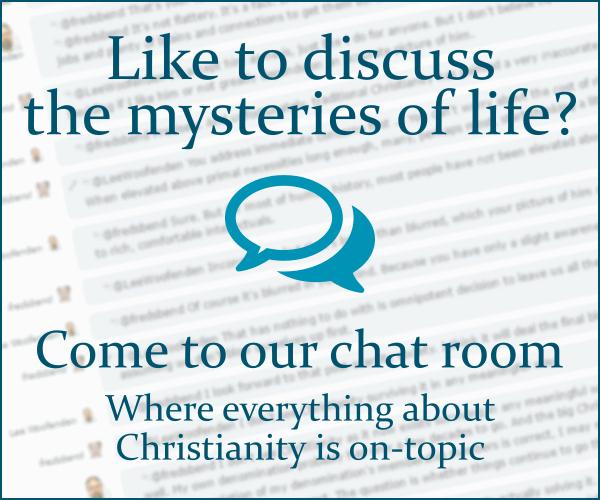 Browse other questions tagged soteriology eschatology satan hell universalism or ask your own question. According to the scripture, when and how is the world destroyed? How do proponents of sola fide explain Titus 1:16? What is meant by the punishment for Satan in Genesis 3? How do evangelical universalists reconcile their position with the designation for Judas that it would be better if he had never been born? How do (non-Catholic) proponents of an intermediate state interpret 2 Corinthians 5:4-9?